The compilation features great local artists from Melbourne’s underground electronic music scene. A journey traversing different styles from psy, tech, prog to electronica and even some speedcore. Slice aims to showcase underground talent and support emerging and established artists through our events and now our releases! The Slice Crew would like to thank: All the artists involved in this release and who have played at our events, contributed artwork and helped shaped Slice as a whole. Damiano Verna and the Tempest Recordings crew for having faith in our abilities and the constant encouragement. Fiona Neville for her dedication to transforming the spaces we occupy. Clint Grierson for actively supporting our vision through his amazing artwork. Eugene Showler, you were instrumental in helping us get started and always gave your services with absolute dedication and without expectation of reward. We love you; may you rest in peace. Steve Sakkas @ My Aeon for supporting up and coming artists and giving us the opportunity to show Melbourne what we’ve got! We have got the CD's pressed! With the formation of Slice Records comes the next stage of our adventures- combining local psychedelic audio and visual artists in the form of digital and physical releases. Ever lamenting the death of the album, Slice wishes to bring the listener back to the 'journey' style of listening rather than consuming single songs & or at poor audio quality. Our 1st release is various compilation of fine local electronic producers entitled "Metaphoenix", showcasing varying styles of quality electronic music. The comp features artists from the label and artists who have played at our events that have helped shape our parties. The comp was mastered by Cydelix (Cosmic Leaf, Greece) Cheers George! Thanks again to all the artists involved and helping make Slice what it is today! Both CD's are professionally pressed and printed. Artwork was skillfully done by Clint Grierson - Point Zero Productions, the magus of Graphics for Slice. 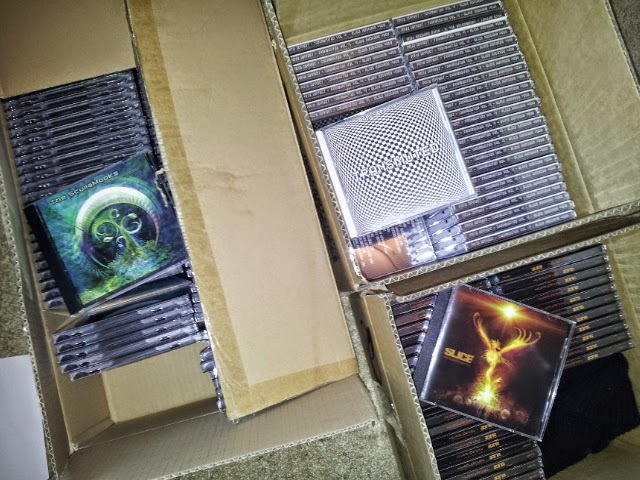 We have done a small limited edition run of CD's before they are released digitally worldwide on Beatport, Itune etc so check out the releases at www.slicerecords.bandcamp.com if you want to get a copy! 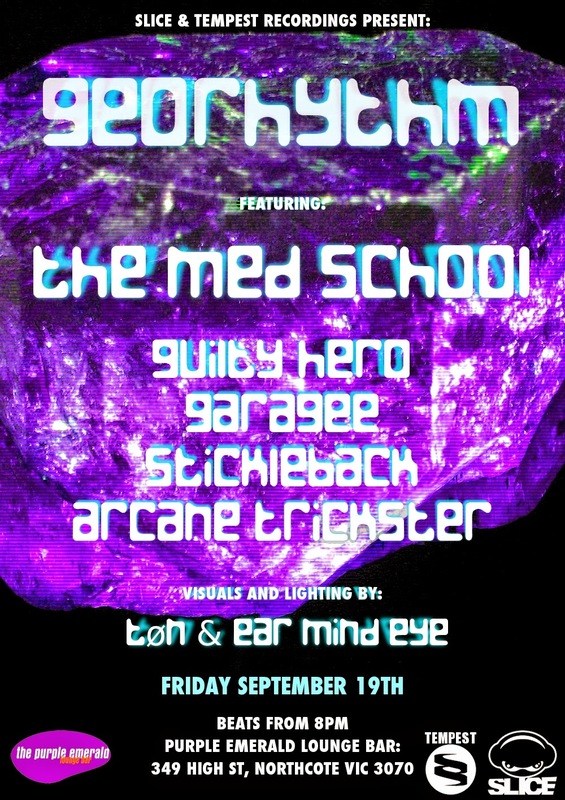 The Scullamooks album launch party for "The New mythology" & French Fest promo night! FRENCH FEST WAREHOUSE LAUNCH PARTY! Address 18 Dawson Street, Brunswick. 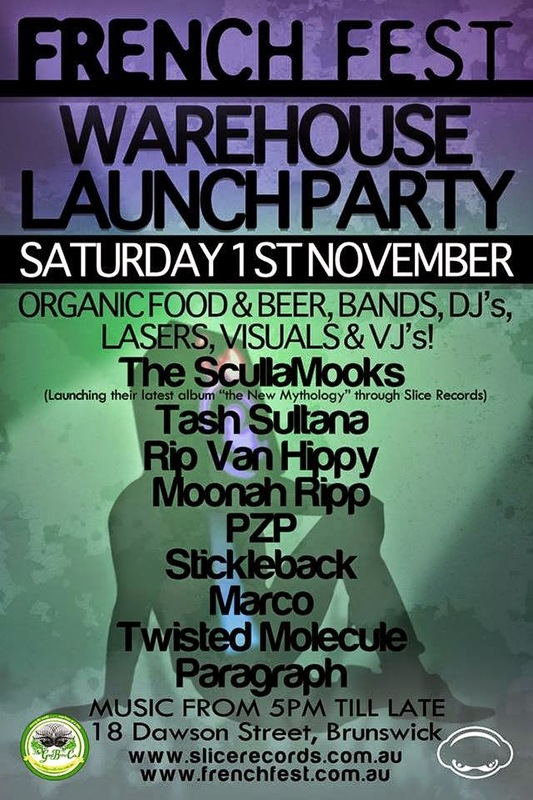 Organic food and beer, DJ's, bands, performers, art installations, lasers, visuals and VJ’s and great tunes! Main event ticket give aways for best costumes! *MORE ACTS TO BE ANNOUNCED!!!! Georhythm 2 - Halloween Special! 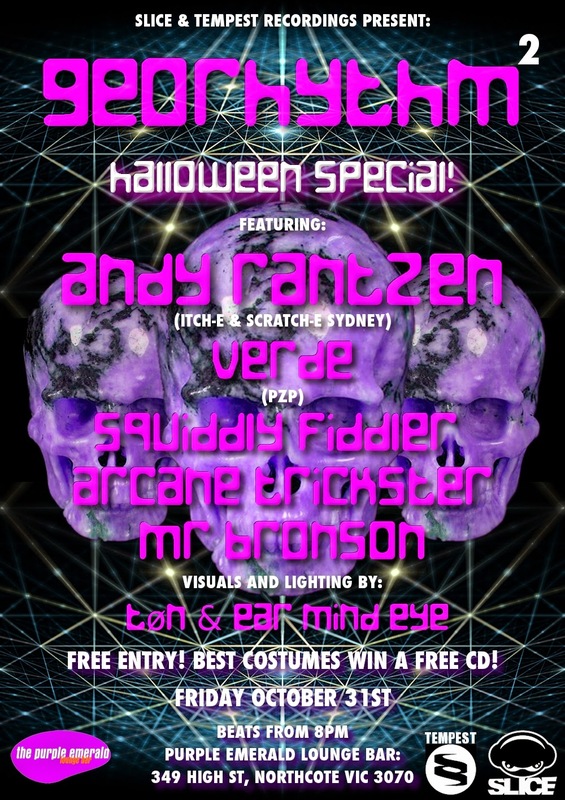 We are having a free party on Halloween, Friday October 31st @ Purple Emerald in beautiful Northcote! It's gonna be a great party with funky beats, groovy downtempo, tech and some wicked glitch to excite your ears and get you moving! There will also CD give aways for the best costumes! (If you decided to dress up! Andy Rantzen(Itch-E & Sratch-E), Down from Sydney! Visuals and lighting on the night will be in the hands of Gareth 'Tøn' Fox & Ear Mind Eye! 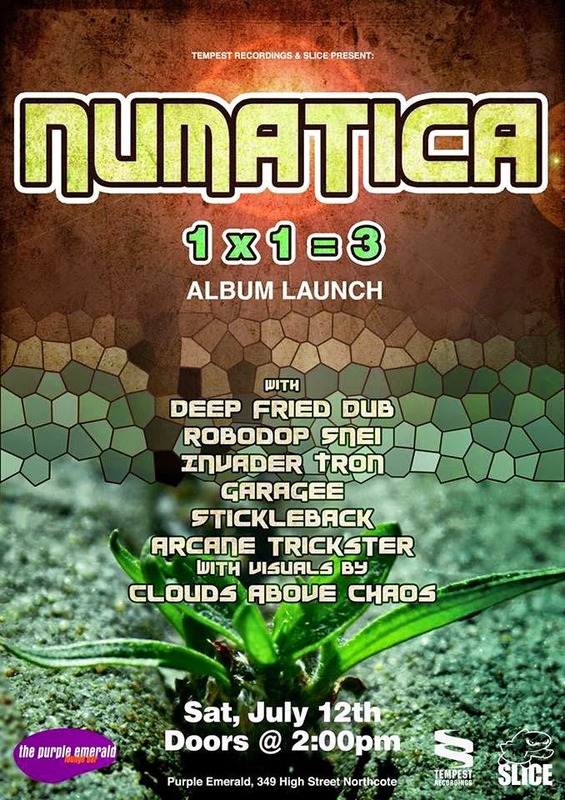 Slice Records & Events and Tempest Recordings present the launch of numatica's new album "1 X 1 =3" in a special matinee show at Purple Emerald, with supports from Deep Fried Dub Invader Tron, Robodop Snei, Garagee, Stickleback & Arcane Trickster with visuals from CLOUDS ABOVE CHAOS!